On 16 and 17 October, at the Gulbenkian Foundation, former heads of state and government, political decision makers, educators, youth leaders and representatives from the private sector and civil society, met to debate the theme of “Education for Shared Societies” organised by Club de Madrid. On 16 and 17 October, at the Calouste Gulbenkian Foundation headquarters, some one hundred and fifty persons, including over 30 former heads of state and government from various democratic countries spread across the four corners of the world, political decision makers, specialists, educators, youth leaders and representatives from the private sector and civil society, met to debate the theme of “Education for Shared Societies”. The gathering was organised by the World Leadership Alliance – Club de Madrid (WLA-Club de Madrid), an institution that proposes a shared society is one in which everybody holds a shared feeling of both belonging and responsibility, thus free from the dynamics of social exclusion, inter-group tensions and violence. This belief also extends to attributing education with a fundamental role in fostering social cohesion and reducing the dangers of exclusion and elitism. The objective of this meeting was to mobilise the political will around global education as a means of dealing with the challenges posed to the development of communities and the wellbeing of citizens. The two days were packed with speeches and debates. The participants included the former Portuguese prime minister and president Aníbal Cavaco Silva, who appealed for, within the framework of decentralising state competences to the local government level, “the school to stand out as the centre of community life” and also incorporating the involvement of families, institutions and companies. In turn, the former Spanish prime minister Felipe González placed the emphasis on the extraordinary historical moment which we are currently experiencing, characterised by the technological, political, economic and organisational disruption of societies and highlighting the importance of the humanities “because words endure”, the importance of “understanding the other” and, in addition, the importance of a humanist background to structure the “technological speed”. 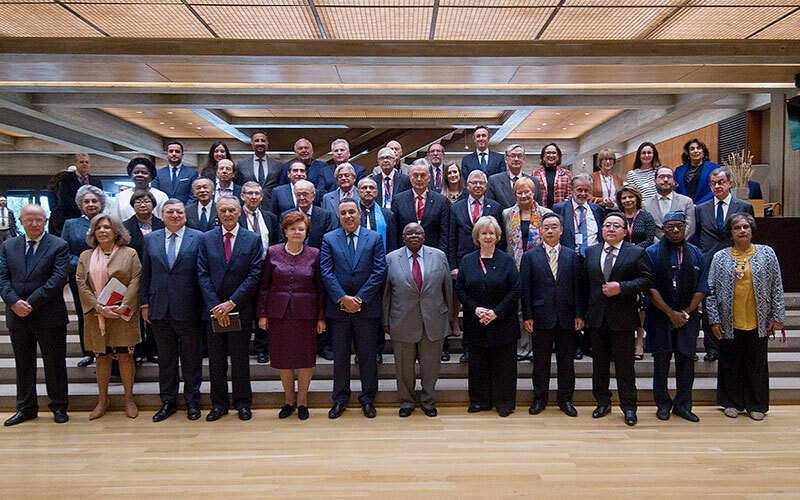 The conclusions of this Dialogue are to be presented to the E4SS Joint Management Committee, which is responsible for producing and launching an Education Agenda for Shared Societies by 2019, thereby rendering continuity to this globally scaled project.